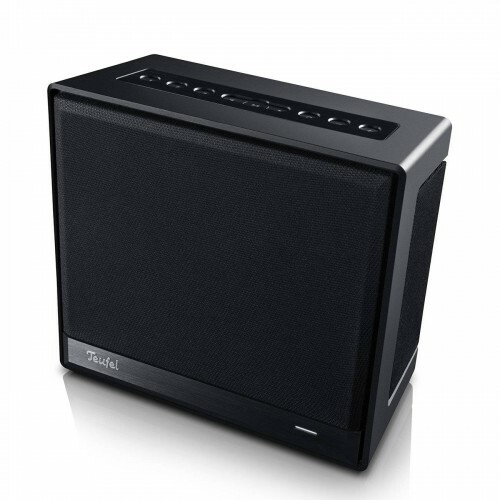 The Teufel One S packs some impressive German audio engineering into the perfect compact package. 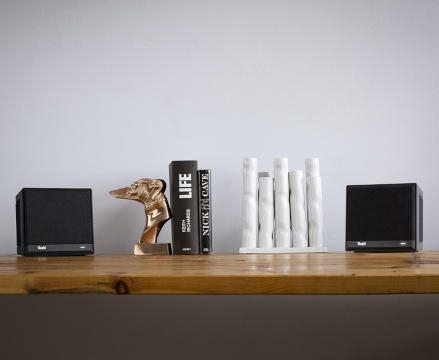 It’s neat cube design allows it to neatly fit on a shelf, TV table, or anywhere else you want to place it. Yet while this bookshelf speaker is small in stature, it offers superb sound quality that rivals much larger models. 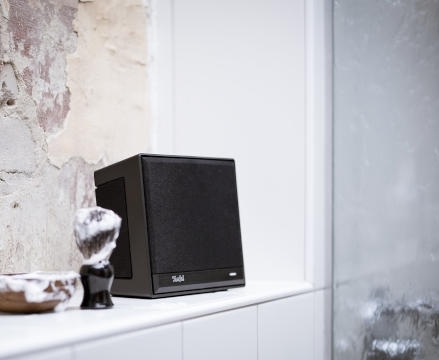 Teufel have carefully designed the One S so that it fades into the background when not in use, before coming to life when the music starts playing. On the front panel, you’ll find an aluminium frame covered with premium fabric, along with a power button and light. The back and sides, meanwhile, are a mixture of rubber and high-quality plastic, giving the whole unit a premium feel. 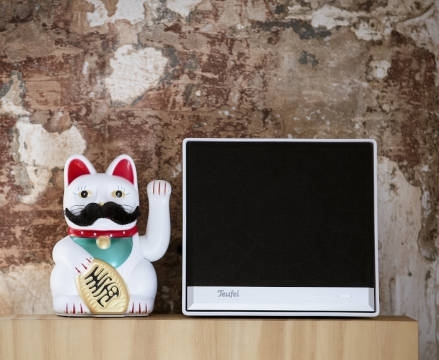 On the top of the bookshelf speaker, you’ll find a set of physical controls. That way, you don’t need to take your phone out of your pocket every time you want to adjust the volume. Appearances can be deceiving. 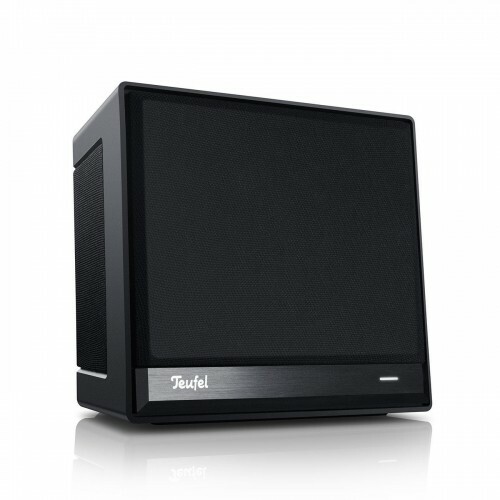 Despite its compact size, the Teufel One S delivers a surprisingly weighty sound. With a 1” tweeter, high frequencies sound crisp without being overly harsh. A 3.5” midrange driver, meanwhile, handles the bulk of the sound, and it’s here that the One S really impresses. Thanks to a wide sweet spot, it can copes superbly with an extensive range of music. Lastly, a twin set of wooders provide powerful bass tones that rival those of much larger bookshelf speakers. 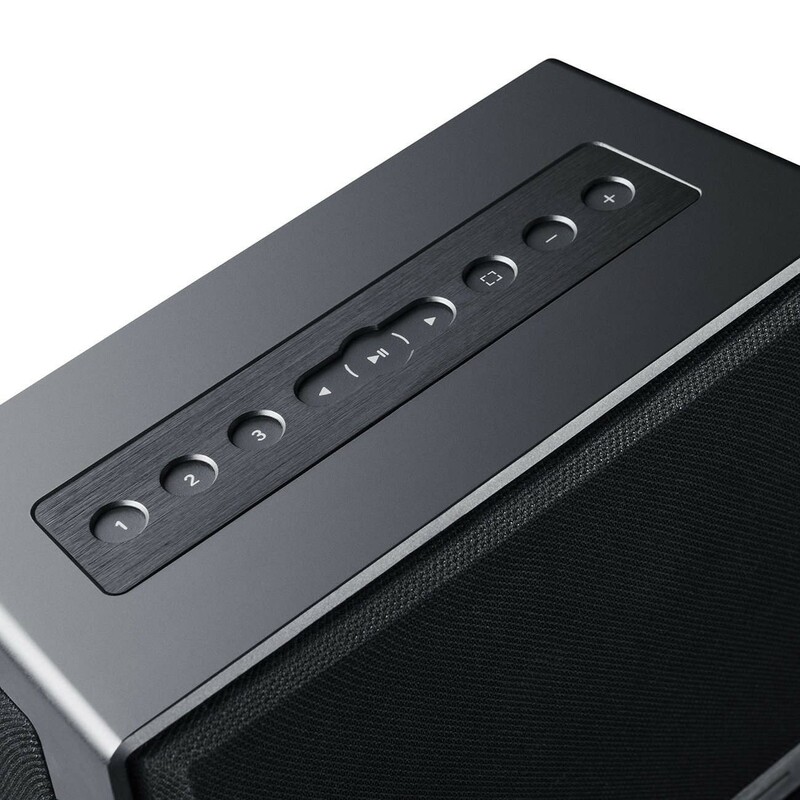 This all adds up to a speaker that can go much louder than you might think, comfortably filling a room with high-clarity audio. Getting the Teufel One S up and running only takes a few minutes. Simply plug it directly into your router using a LAN cable, and it will automatically register to your network. All you need to do then is download the Teufel Raumfeld app, and you’re ready to start listening to all your favourite music. The app is compatible with some of the most popular streaming platforms, such as Spotify and Deezer. It also gives you access to internet radio, to discover a whole world of music. When you’ve found a new favourite station, assign it to one of the four preset buttons to instantly tune back in. If your music platform of choice isn’t supported by the Teufel Raumfeld app, then not to worry. Thanks to Bluetooth connectivity, you can easily start streaming music, podcasts, and more direct from your phone or tablet. What’s more, a USB port on the back of the One S allows you to plug in a hard drive or memory stick to play files directly,. 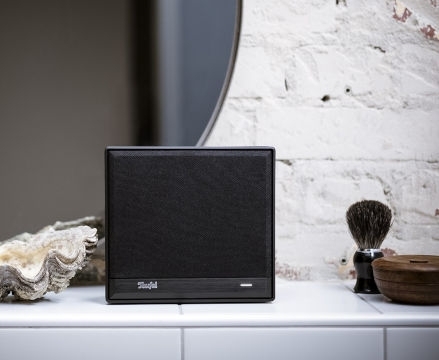 Lastly, the Teufel One S also includes Spotify Connect, so you can instantly start playing with just a touch of a button. 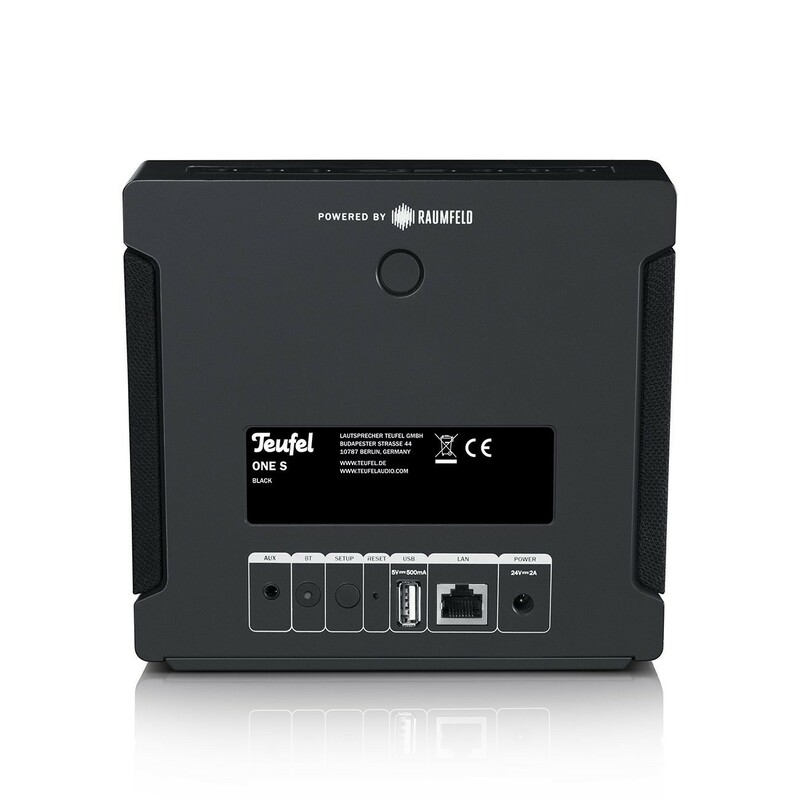 As part of Teufel’s wider range of speaker units, the One S is built with multi-room connectivity in mind. Using the Teufel Raumfeld app, you can easily hook this bookshelf speaker up to a wider system, and then take complete control over what’s playing in each room. 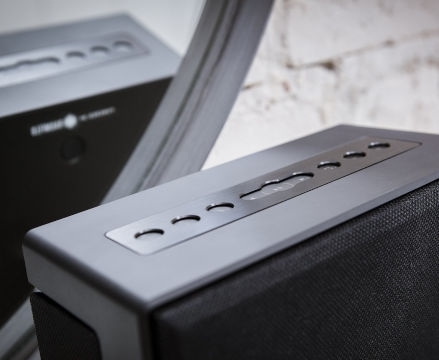 It also means that you can use a pair of Teufel One S speakers for full stereo sound. If you choose to upgrade to a larger model like the Teufel Stereo M for the living room, then the One S makes the ideal addition to your kitchen or bedroom.